20 inspirational home office ideas and color schemes – Whether you like it or not, colors unconsciously shape many aspects of our daily lives. They influence people’s attitudes towards their surroundings and have a slight effect on a person’s work performance. 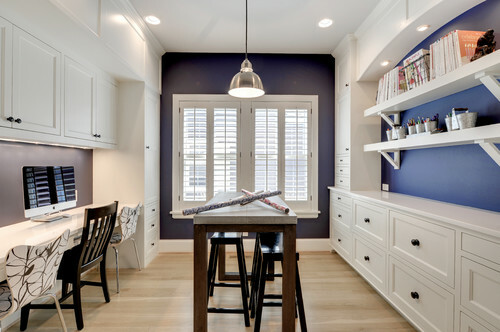 When it comes to picking up a color scheme for an office, think about the type of mood you want ideally to be present, think about what kind of work is going to be done there, and what kind of person will be working there. The home office can play a wide variety of roles. If one works from home, it is the 9-to-5 place of business; for others, it’s a place to pay the bills, go to mail or store important documents. Manu Writing Desk inspired by Manuelino style with a top lined with a black lacquered mirror and the work area is made of leather. 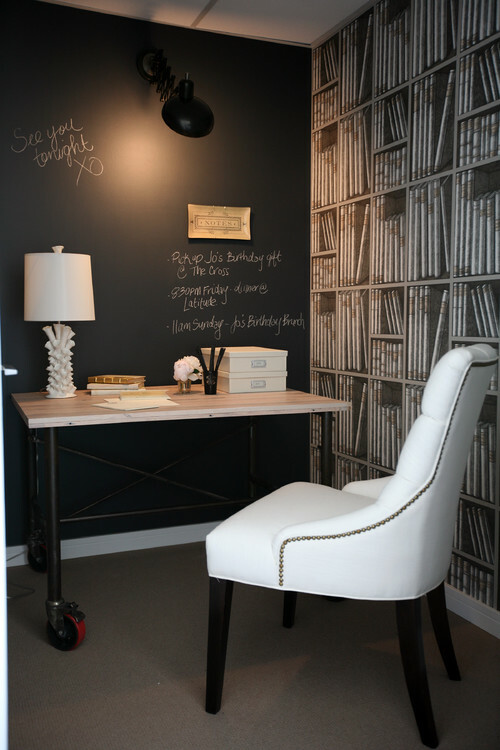 Traditional Home Office by Calgary Closet & Home Storage Designers Niche Designs Inc. I really like the elegant look of a few of these office examples. I’ve been wanting to update my office and think a full overhaul is in order. 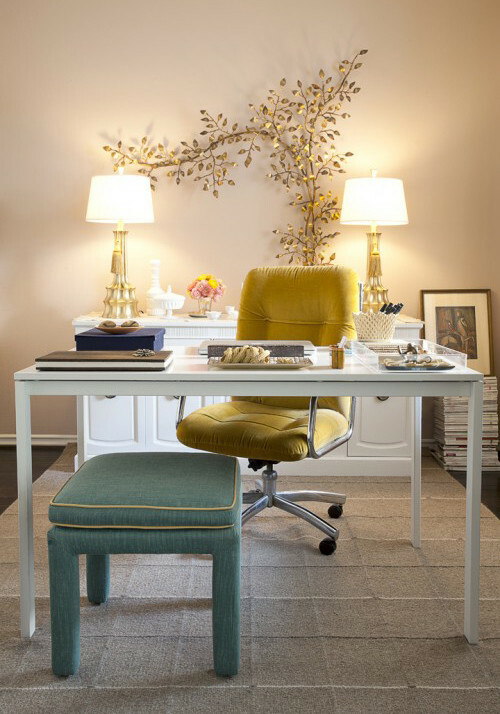 Thanks for the post; the style of having a desk with its back against the wall could make having guests a much more elegant experience, especially if I have nice a nice, color-matched name plaque to sit front and center.